The sun was beating down, we’d been walking for hours, I was hot and sweaty – and the sign on the tree said “Rock Pool”. Irresistible. We dumped out packs and climbed down the steep bank to a gentle waterfall which fed in to deep pools of brown peaty water. The somersaulting clegs were an incentive to get submerged fast and it was glorious; cool and soothing for my ravaged shoulders, slippery rocks to slither over and space to stretch down to feel for footholds on the stony bottom. I was a water nymph, in my head at least! The trail passed by the manicured grass and gravel of Gobernuisgach Lodge, a remnant of the privileged Victorian approach to the Highlands; incongruous precision in the midst of wilderness. I’m now an authority on the bloodsucking cleg, or horse fly. Their official name is Tabanidae and they’re also known as breeze flies, deer flies, gadflies, or zimbs. In some areas of Canada, they’re called bull dog flies or stouts. And in Australia some species are known as “March flies”. And they’re all more vicious than they look..
And later, just as we were getting tired and hungry, the idyllic camping spot came in to focus; it was beside a river, the ground was flat, the grass short, and as open to a breeze as anywhere around. But the tents were barely up and supper cooking than the wind died and – without warning – hoards of midges descended in impenetrable clouds. We clutched our pans of half-cooked food and ran for cover. Calling it a horror movie doesn’t do it justice. I lay in the stifling heat, listening to them lunging themselves at the mesh fabric and the outer tent walls, and staring at the thick mass of miniature wings that filled every inch of the “porch”. I had no water. I needed the loo. And I wanted to brush my teeth. But if I unzipped the flap millions of tormentors would invade. So I fell asleep instead and woke at midnight. This time I knew I had no choice. I prepared as well as I could, but they were thick and heavy on my face, I breathed them in and choked on them, spluttering and coughing. I had the most uncomfortable pee of my life then ran back to the tent, threw myself in and zipped it up again then almost cried when the beam of my torch showed I had thousands of them for company. My swollen cleg bites were painful. I was thirsty. Midge bites itched in new, unbearable places. A few metres away I could hear Noreen snoring gently in her tent. But for me it was going to be a long night. It is sounding like a nightmare. Sympathies! Maybe I’m making too much of a fuss! I did lie there wondering why ON EARTH I subject myself to such discomfort but I’ve been writing this with a huge smile on my face. I still have the scars – but they’re physical rather than mental. And of course I’ll do it all again. Indelicate to mention, perhaps, but maybe keep an empty container in the tent in place of a visit to the wild loo? And a book. And snacks. And then, you know, refuse to leave until it snows!! Indelicate indeed, Margaret and an unlikely subject to share globally. And yes, I’m usually prepared for such eventualities but this time the midges caught me “on the hop” with most of my gear outside the tent near the river. All the ingedients of a fully formed nightmare Nancy. Good luck. I was ok until I read about the one in your thigh. You could consider one of those pee tubes which a friend of mine used here last summer on the Tasmania Trail but you might need to be able to stand up in the tent and it would require some practice. Hi Nancy two more tips for the midges. Be in your tent before sundown, if the midges get in to your tent light a candle and they will soon be lying dead in piles on the floor. I have used the candle solution many times while walking and camping in the west of Scotland. Wish you’d been with us Doug! They descended at around 6pm, by the way, long before sundown in Sutherland. I’ll be ready for them next time though. How horribly midgy and cleggy, Sandflies are just a mere nothing compared to that and mosquitos seem to get repelled with mosquito repellent. NZ insects are more feeble, obviously. But it sounds like you are dealing with them brilliantly and this has reminded to me to buy one of those mesh thing you wear over your head. In Case. Aha! Sandflies are not feeble, dear cousin. And I think I remember being beleaguered by midges with you on Skye 100 years ago when we went on our Great Camping Adventure by Land Rover. That was the way to do it! Buy a “mesh thing”, come over and we’ll do it again. I can sympathize with your misery on both the midges and the deer flies (clegs). I’m not sure which is worse. 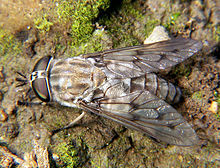 The deer flies are nasty and aggressive and take chunks of meat out of your skin. Between them and the midges I’m sure you must look as if you have chicken pox. What a shame to have this scourge to deal with in such a beautiful place! It’s not pretty. And I’ve just found a tick with a firm grip of my thigh so tweezers are at the ready. What else can be lying in wait for me out there? Oh no! That would be the straw on this camel’s back.